What Makes a Small Discipleship Group Different from Other Groups? In chapter 9 of Forming Intentional Disciples, Sherry Weddell teaches the would-be evangelist about an essential skill: listening. Grab a drink, get comfortable, and take a few minutes to practice that skill right now, by reading this post, written by my friend Jenni, about the pain of feeling isolated in the parish. This is listening-evangelism, so read the whole thing if you can. No walking out mid-story. For those who skipped, the topic is liturgical change. It’s easy for the liturgically-satisfied evangelist to ignore the importance of the felt-experience of the Mass. After all, the Holy Mass is about the worship of God, not about warm fuzzy moments of “community” or “acceptance”, right? If “welcome” were the highest aim of the liturgy, we’d serve a casserole instead of the Eucharist, and furnish the place with easy chairs, no? Not so fast. The reality is that for 99% of people who darken the doors of your parish church, ever, the Mass is the only, or the most important, encounter with the faith they’re going to have. Which means that even as we work to make our liturgy as worshipful as we can manage, we also need to be mindful of the experience of the visitors and parishioners who must endure the fruits of our efforts. 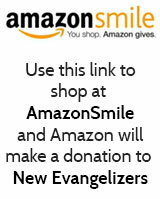 Rule #1 of Evangelism: Don’t be a jerk. I’m keenly aware of this rule, because being a jerk comes naturally to me. My apologies right now if you’ve ever borne the brunt of that anti-charism. When introducing change, or turning down a request for change, or in going about our daily business, courtesy and consideration have to rule. Is Your Parish Kind to People? A second friend in the same diocese as Jenni, different parish, shared a horror story about the introduction of the all-chant liturgy. I had to point out: She has horror stories about every aspect of parish life. Top on her annual list of cry-on-a-friend’s shoulder topics? Exorbitant fees for (mandatory) religious education classes and humiliating collection letters for parents who can’t afford them. The GIRM felt like a nasty infection, I proposed, not because chant is meant to be a form of communal penance, but because the changes were introduced by thugs wielding liturgical crowbars. It’s hard to appreciate what you don’t understand. “Gather Us In” indeed welcomes the haughty, but that’s not license to dismiss the unwashed masses because their tastes aren’t properly attuned, or their catechesis insufficient. I love Latin. But guess what? You can’t dump a bucket of Latin on a mono-lingual congregation and expect instant love, anymore than you could announce that from now on, all correspondence must be conducted in Ancient Slobovian. Sacred Polyphony is sublimely beautiful, but it only resonates in the soul if your ear is trained to make sense of it. And sometimes you need a Mass that doesn’t take three hours to finish. There’s a genuine need for simple, singable settings, clearly presented, that permit mere mortals sing along. If people don’t understand the language of the liturgy — symbolically, musically, catechetically — you must teach them. Gently. It takes years to master a new language. For the spiritual traveler, perhaps visiting Liturgy Land for a funeral or baptism, think about what makes you feel welcome when you’re stuck in a foreign country. A few explanations and a pile of reassurance, perhaps? Is the Congregation Getting a Complete and Balanced Spiritual Diet? I suspect one of the causes of the Liturgy Wars is the rise of the music industry. We’ve transitioned over the past seventy or so years into a culture that mostly just listens to professionals make music for us. How many families do you know that sing together for entertainment? Do most of your fellow parishioners pass the long commute to work by singing to themselves from their repertoire of favorite memorized songs? Probably not. We’re trained to flip on the radio and listen to the experts do it for us. What’s the result? Humans have a need to sing, and we have a need to sing meaningful songs. So we try to cram our entire spiritual-music diet into four hymns on a Sunday morning. The results are about as successful as if you announced that the whole parish had to eat the same four foods, but thank goodness we have a Nutrition Director who’s professionally trained to write our grocery list for us. You can be the perfect combination of empathy and competence, but you will never, ever, make 300 — let alone 3,000 — people happy with a menu of four items per week. If we want good liturgy and a peaceful congregation, we must rebuild our musical culture. We must provide many overlapping opportunities for parishioners to sing a wide variety of inspirational tunes outside of Mass. Those are my thoughts. What are yours? Having listened to Jenni’s story linked above, how would you, the aspiring evangelist, answer her? 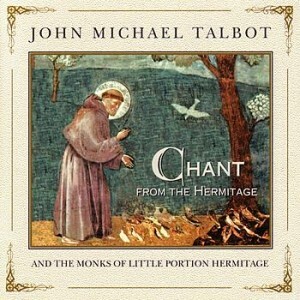 A note about the album cover I selected as the image for this post: If your parish is just introducing chant to its repertoire, may I suggest Chant from the Hermitage as a helpful resource? The settings are simple but beautiful tunes that have stood the test of time. They’re easy for untrained pewsitters to learn, the words of every prayer are clearly enunciated, and the range is suitable for ordinary voices. You don’t need to be a musical genius to learn these settings and lead them a capella. Simple, beautiful, worshipful. Highly recommended. 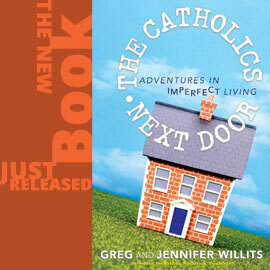 Jennifer Fitz is the author of Classroom Management for Catechists from Liguori Publications. She writes about the Catholic faith at her Patheos blog, Sticking the Corners. I am really pleased to have been able to read Jenni’s story and I am really convicted by it. I am a Music Director for a bi-lingual parish and we use Latin (a lot) to help build bridges between the two halves of the parish. But, sadly, I am afraid I have been one of those thugs armed with liturgical crowbars, on occasion. Reading her story and your response, I feel sorry for every snappy remark I’ve ever made about music. I was very blessed to have had a pastor who understood both sides of the pastoral coin and taught me patience and prudence in implementing the propers. The reality is that when you take on a new music program, you have to move slowly. It looked to me like that music director moved far too quickly and that does cause problems. I have written about all of this extensively at my blog (The Beautiful Music Challenge). Over the past five years I have managed to add the Communion Antiphon to our liturgy but not to the exclusion of hymnody. We still sing a communion hymn. That’s it. And it’s in English and only for the English masses. I plan to add another proper to the English masses this Fall. The Spanish congregation has a great deal more ground to cover before they get to that level of musical education, but we are working toward it. Slowly. Always slowly. Patience is the key to any kind of evangelization. And frankly, this is doubly true of music because music evokes an emotional response. That’s why Jenni felt so isolated. I frequently say that the one way to engage our Trintarian natures is by singing. With song, we engage Mind, Body and Soul. And you’re right, people tend to sit and listen far too often. But, a caution: If you get too caught up in providing a “variety of music”, you can fracture the liturgical experience for everyone. There is a nearby parish that does that and it is hopelessly distracting. And it’s not just me. You can feel the unrest in the congregation. I have a friend who complained that in her parish, the music “assaulted her” because it seemed to be tacked on to the Liturgy rather than growing from it naturally. I think that’s the advantage that chant gives us. It was designed for the Mass, so it fits in with the mass well. When a Mass hits the right balance of timelessness and peace, you can feel the spirit in the room. I can’t describe it to you, but if you have ever felt it, you know what I am talking about. And that’s the goal for a musician: To create sounds that promote silence so that God can speak. Katie, thank you so much for sharing your experiences. As everyone who knows me can attest, I’m prone to that same push-it-through tendency (crowbar is the word, for sure), and I’m constantly having to slow myself down a little. I wanted to clarify on the musical diversity my own thoughts: Definitely you don’t want a liturgical mish-mash. I’d propose that what you do want, is if you’ve got a group who just loves inspirational folk songs, or contemporary praise and worship, or what have you, that you offer a music night when people can just come and sing what they love to sing, and then chat and have snacks, etc. So fill that desire for a culturally-meaningful musical expression, but in a context where it can be truly appreciated by the people who love it most. I’d also maintain that in a parish with several strong currents of liturgical style, if there is more than one mass, it’s not the end of the world to have a second mass in the distinctive, community-generated style. Within the bounds of good liturgy. So, better one good chant mass and one good (well-ordered, well-chosen) folk hymn mass, than two masses that are neither one nor the other. Like you say, the lack of consistency jars. And all these are just my thoughts as a person in the pews — I learn so much the more I listen to other people more experienced with all this than myself.